The Commission's 9% Low-Income Housing Tax Credit Program (LIHTC) allocates federal income tax credit to developers to encourage the construction and rehabilitation of affordable multifamily housing. Housing credit in the 9% Program is allocated through an annual competitive process in which projects are evaluated and scored according to the Commission’s established criteria. 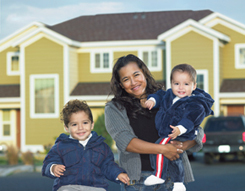 If you have questions about the LIHTC Program or need assistance with the application, please call us at 206-464-7139 or 800-767-4663 in WA or email AskUsMHCF@wshfc.org.